TECHNOLOGY: Nokia's 6-inch Lumia 1520 arrives on AT&T for $200, Pre Order Now ! 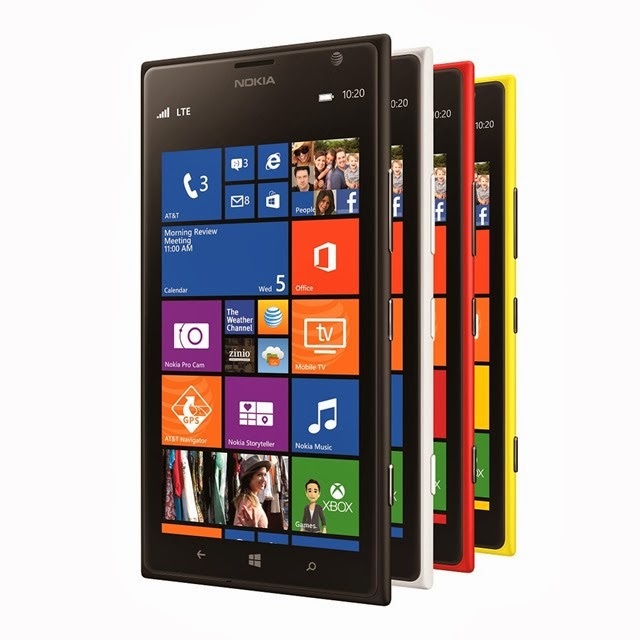 Nokia's 6-inch Lumia 1520 arrives on AT&T for $200, Pre Order Now ! AT&T and the Microsoft Store just started taking preorders for the Lumia 1520 with Windows Phone 8. The device, which was first unveiled last month, costs $199.99 with a two-year contract and comes in four colors: matte black, matte yellow, matte white, and glossy red. It will be available exclusively on AT&T’s 4G LTE network starting Nov. 22. AT&T is offering a $20 app voucher, a free copy of Halo: Spartan Assault, and 50 GB of free cloud storage on AT&T Locker to customers who buy and activate the phone (the fine print). The Microsoft Store, meanwhile, is enticing buyers with $70 worth of app vouchers and free copy of Halo: Spartan Assault. Preorder customers also get a flip cover worth $40 (the fine print).